Jolly Pumpkin Artisan Ales - Grand Cru s.n.c. di Aprile Paolo &C.
Ron Jeffries is one of our favorite people in the world, and he’s also probably the most imaginative, innovative brewer in the United States. Ron’s small brewery just outside of Ann Arbor, Michigan, is unlike any other in this country, and perhaps anywhere in the world. Lots of brewers use oak barrels to age their beers these days, but Jolly Pumpkin actually ferments in the wood, and the result is beer of extraordinary complexity and earthiness. Despite the risks of fermenting in oak, however, Ron’s beers are nicely balanced and drinkable, and don’t seem to suffer from the oxidation and off-flavors so common in aged beer. 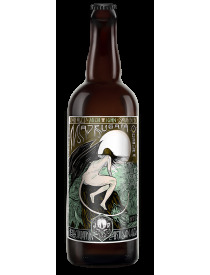 Jolly Pumpkin ales lean toward a subtle but pleasant lactic sourness that fits perfectly with the wild yeast flavors derived from the wood. 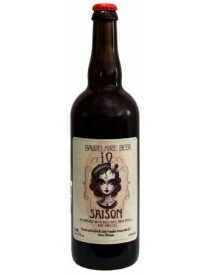 Saison brewed with rose hips, rose petals and hibiscus. Belgian inspired stout, dark as a moonless night, brimming of roasted malt and bitter hops. Oak aged sour stout.